In search of something to do as a family on Columbus Day, I went to one of my favorite local blogs and found a pumpkin carving activity at Chesterwood, a largely outdoor museum just down the road from us. The summer home of Daniel Chester French (who’s most famous for sculpting the Lincoln Memorial and the Concord Minuteman) Chesterwood is a sprawling property that has a museum proper, original buildings including an art studio, and a woodland walk peppered with rotating installments of contemporary art that stand in contrast to the historic setting. 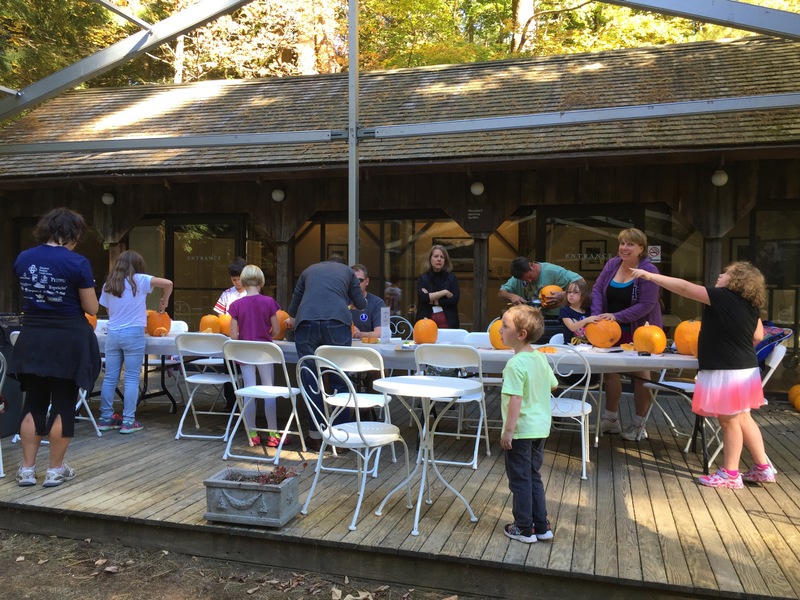 This weekend, Chesterwood was also hosting a pumpkin carving activity for kids, with pumpkins donated by Taft Farms of Great Barrington. We carved Juli’s first Jac-o-lantern, then took a stroll through the woods to look at the grounds and the current art exhibits. We were able to buy one adult ticket for the three of us at $17.50 to attend the event, $8.25 a person if you assume a one-year-old gets free admission. 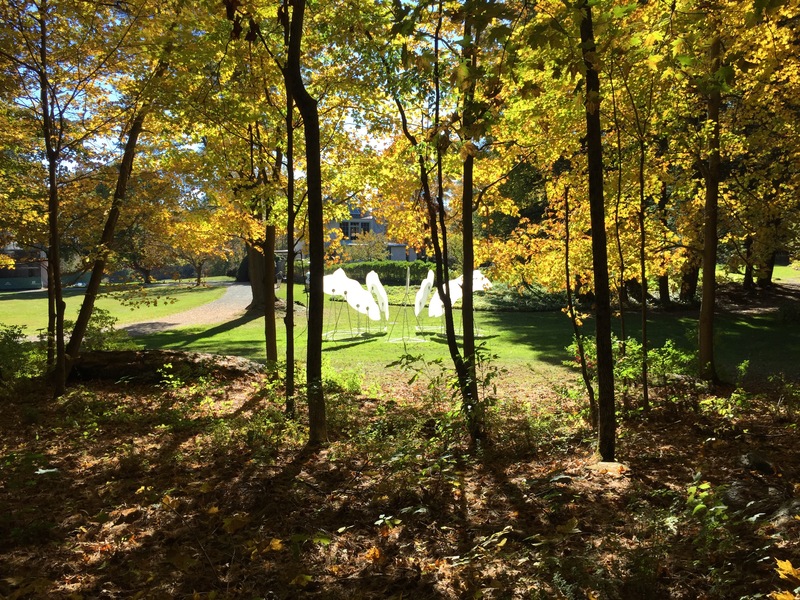 Since Juli loved the art as much as the pumpkins and we also got to enjoy peak foliage and being outside as a fam, I thought the price was a good value. …Casual reclining baby on a slab.